Affinity Health Plan held its Second Annual Family Fall Festival in Downing Park on Saturday, September 26, 2015 in Newburgh, NY. 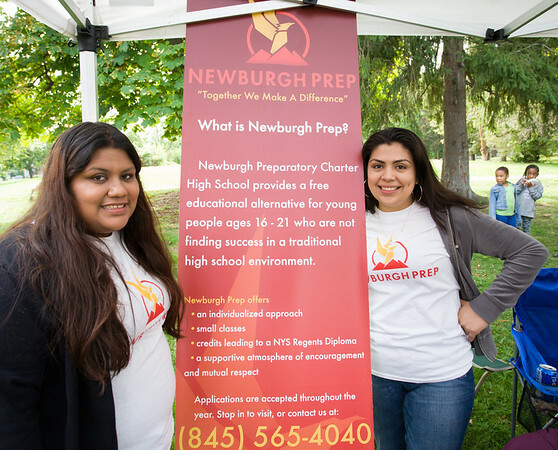 Nancy and Diana Perez hand out information at the Newburgh Prep table during Affinity Health Plan's Second Annual Family Fall Festival in Downing Park on Saturday, September 26, 2015 in Newburgh, NY. Hudson Valley Press/CHUCK STEWART, JR.